This model is based on a Faulhaber Series 0615 DC-Micromotor. 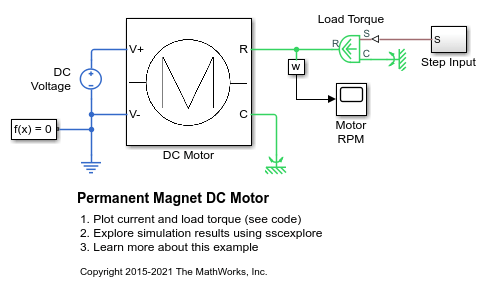 The parameters values are set to match the 1.5V variant of this motor. 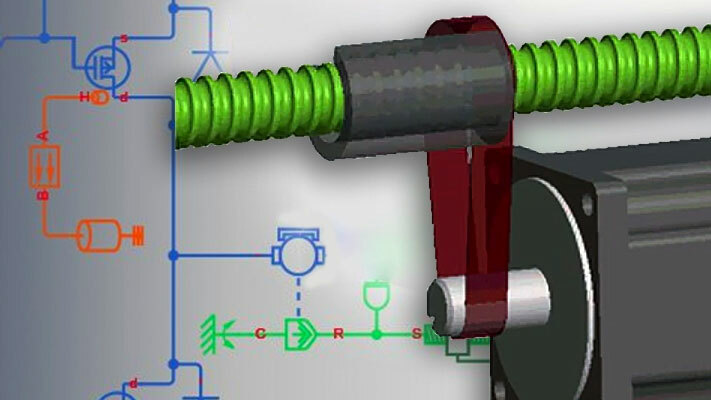 The model uses these parameters to verify manufacturer-quoted no-load speed, no-load current, and stall torque. 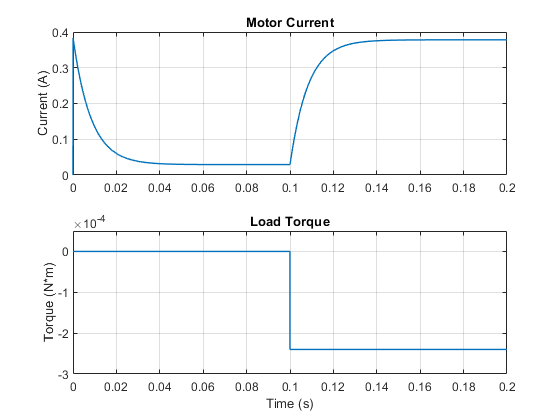 When running the simulation, for the first 0.1 seconds the motor has no external load, and the speed builds up to the no-load value. Then at 0.1 seconds the stall torque is applied as a load to the motor shaft. The simulation results shows a good level of agreement with manufacturer data. Often manufacturers do not quote the equivalent circuit parameters, and they must be estimated from information such as no-load speed, stall torque, and efficiency. 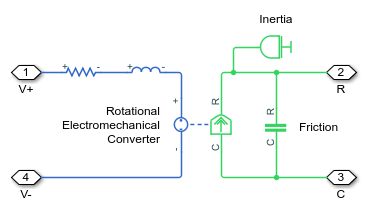 A test harness such as this model can then be used to test the estimated equivalent circuit prior to using the motor model in a complete system simulation.